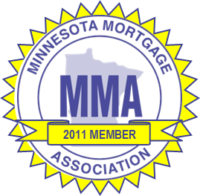 A mortgage broker can help you quickly determine how much house you can afford. To schedule a hassle-free phone consultation, contact DJ Riley, click here. Don’t make major purchases, like a new car. Consult with a mortgage broker. To schedule a hassle-free mortgage consultation, contact DJ Riley today at 763-276-3960, or via email @djriley@unitedfamilymortgage.com. To schedule a hassle-free mortgage consultation, contact DJ Riley today at 763-276-3960, or via email @ djriley@unitedfamilymortgage.com.